The 4 ft. x 8 ft. x 7/16 in. Oriented Strand Board is a material with high mechanical properties that make it particularly suitable for load-bearing applications in construction. 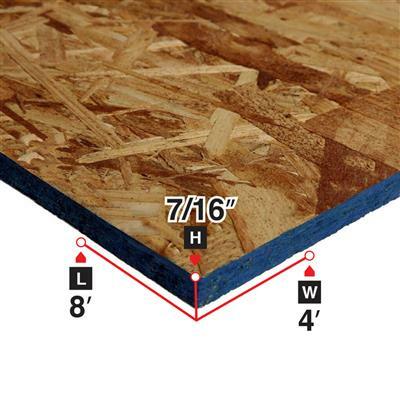 The most common uses are as sheathing in walls, flooring, and roof decking. Size 4 ft. x 8 ft. x 7/16 in.